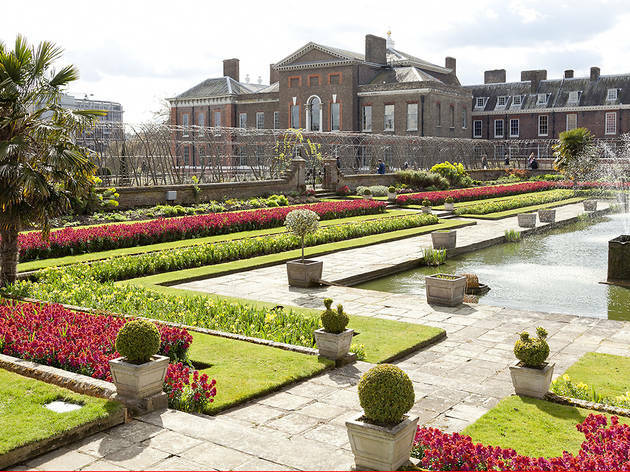 At the end of the seventeenth century, William III – averse to the dank air of Whitehall Palace – relocated to Kensington Palace and, consequently, a corner of Hyde Park (Kensington Gardens) was sectioned off to make grounds for the residence. 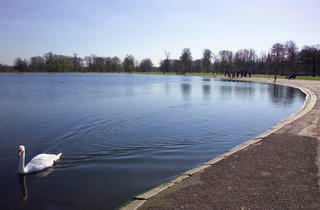 Nowadays, Kensington Gardens is only delineated from Hyde Park by the line of the Serpentine and the Long Water. 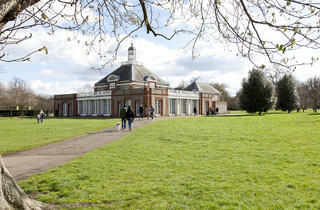 To the west of the Long Water lies the secluded Serpentine Gallery, which hosts an ever-evolving programme of exhibitions featuring contemporary artists. 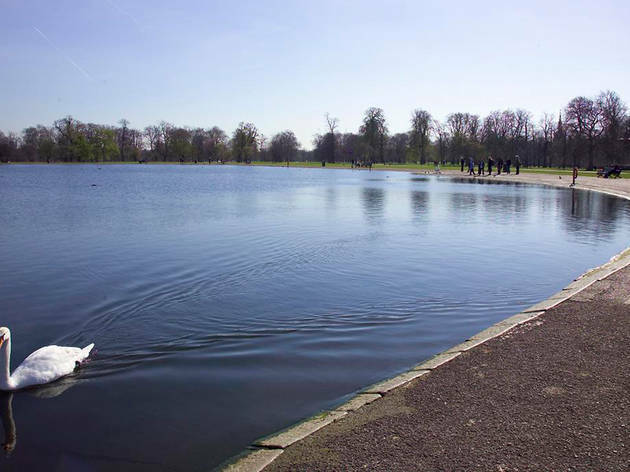 While right in front of the palace is the Round Pond, where playwright JM Barrie met Jack Llewellyn Davies, the boy who was the inspiration for Peter Pan – a bronze statue of whom was erected there in 1912. 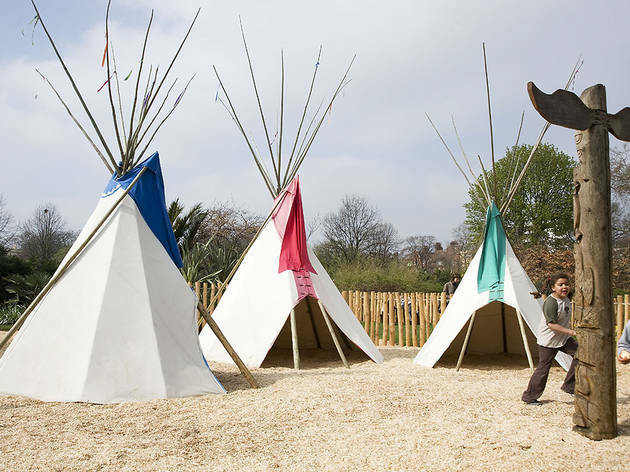 The gigantic green space also pays especial homage to Princess Diana, with a Memorial Playground that’s a favourite for children thanks to its massive wooden pirate ship and accompanying ‘beach’. 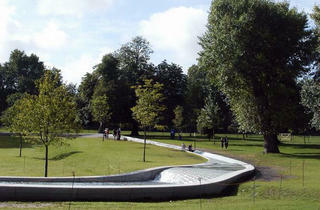 The Diana, Princess of Wales Memorial Fountain, a shallow stone ring of trickling water, is also popular for paddling. 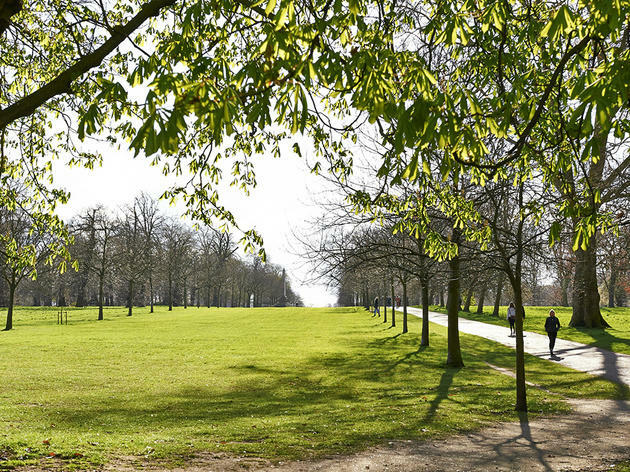 Visit more of London's biggest and best parks. 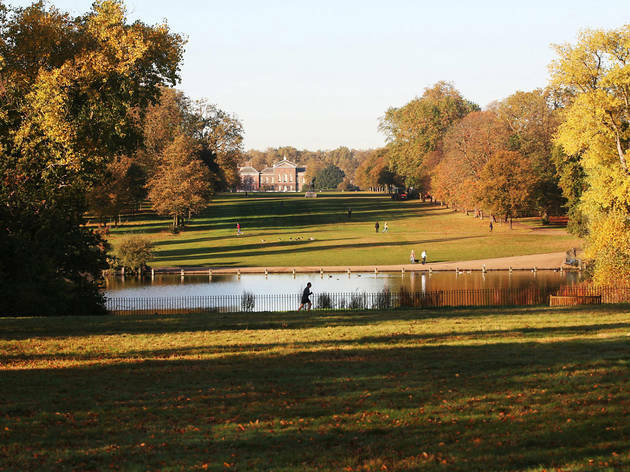 Kensington Gardens is a gorgeous and possibly less explored part of Hyde Park and it’s just within walking distance from the hustle and bustle of High Street Kensington with all its shops. 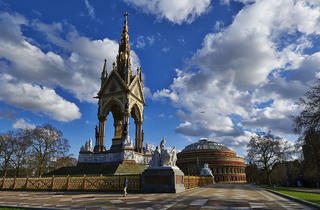 The iconic Royal Albert Hall is just across the road. 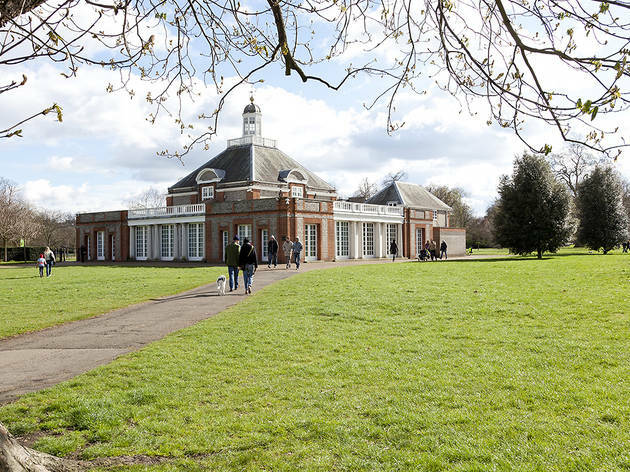 There is Kensington House that is worth a visit with all its history and its free with an Art Fund card and the Orangery which is one of the charming tea rooms I’ve ever been to with a tempting selection of cakes and cream teas. Come Spring time the gardens are blooming with vibrant colours from different flowers, plants and there are beautiful natural archways where can pass away the time with a good book. 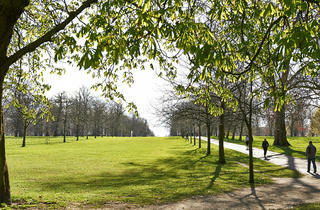 This is an excellent place to relax and contemplate, chill out with a book or stroll around. It is also quite a popular place to rollerblade so don’t be surprised if you find a lesson going on nearby. The garden is a very beautiful garden where you just want to relax and walk around. 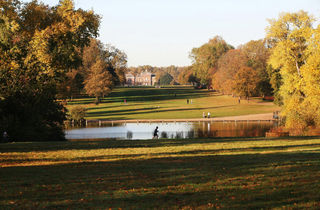 There are many pathways and different sites to see it like ponds and sculptures. The key part of this garden is the memorial water fountain which is very cool and has an abnormal ellipse like design. 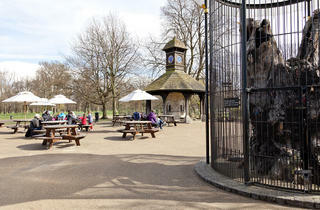 You can spend hours here exploring the various areas in the gardens! I can only imagine it during the spring time with all the foliage so lush. 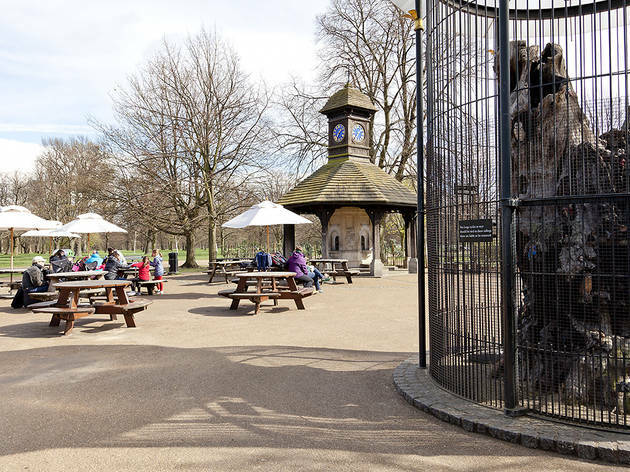 Right - start by entering the garden near Queensway at the north west corner and walk alongside the lovely (and lively) Diana's Memorial Playground and head down to my favourite bit which is the palace garden. Viewed from he Walkway, it's an enchanting place and if you come early enough (like sunrise o clock) you might see gardeners working on them. I love the leafy archways and the simple viewing points and benches. It's always tranquil even at busy times. At the moment it's planted with white flowers and Forget Me Nots to celebrate Princess Diana's life at the palace during the exhibition. 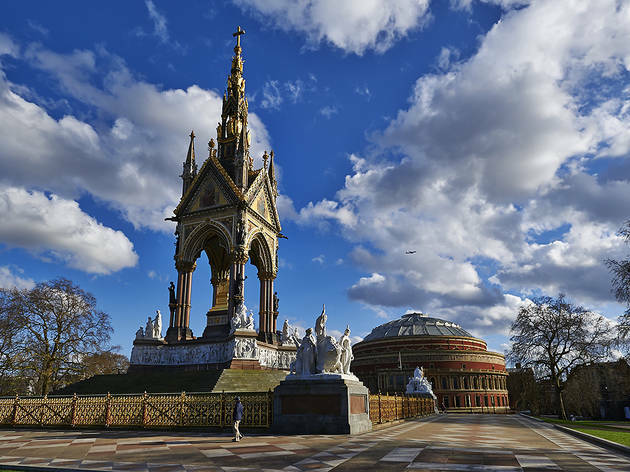 Make sure you look at the palace (and maybe go inside if you have time) and look at the Queen Victoria statue which has a handy QR code next to it to find out more. 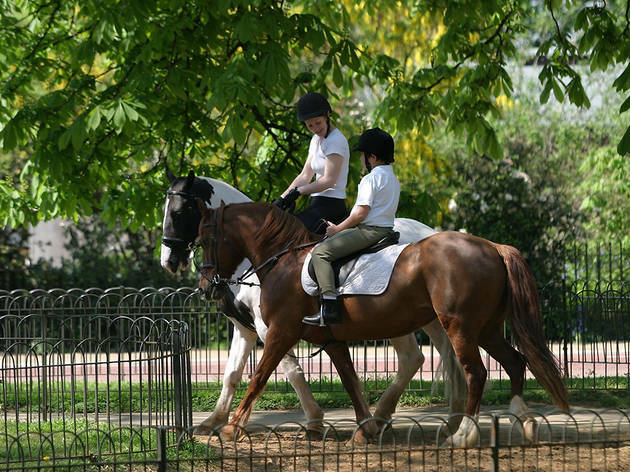 After that, I like to meander around the pond and then look at the statue of the Hot Guy on his Horse (not actual name) before heading to the Peter Pan statue and the beautiful Italian Lakes. 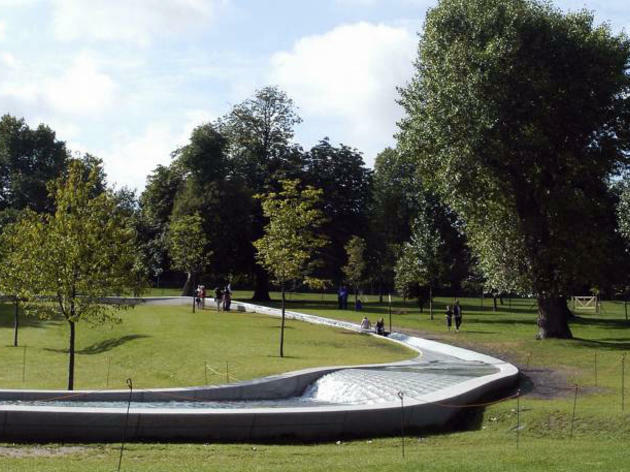 You can follow the Serpentine here to head down to Hyde Park. Also worth noting is the imposing Prince Albert statue at the south of the park overlooking the Royal Albert Hall! 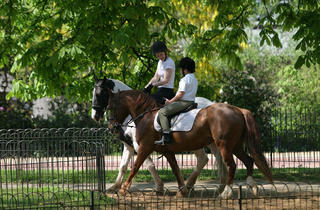 It's a beautiful park, so cared for and loved, I hope you enjoy it as much as I do! I love this park - a beautiful pond, a lovely view and a pretty area with fountains and flowers. It's got it all! Huge areas for football games, a great short route for a jog pluuuus it makes for a short cut through to South Ken from north of the park (the tube is a nightmare). Be warned the park closes at sunset and they lock every gate. 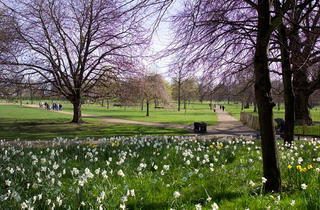 Nowhere in West London is better than Kensington Gardens if you're in need of a little tranquility and solitude. 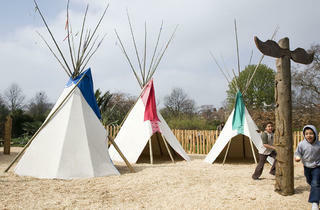 Of course, it's the perfect environment for all the family too. There is a playground. 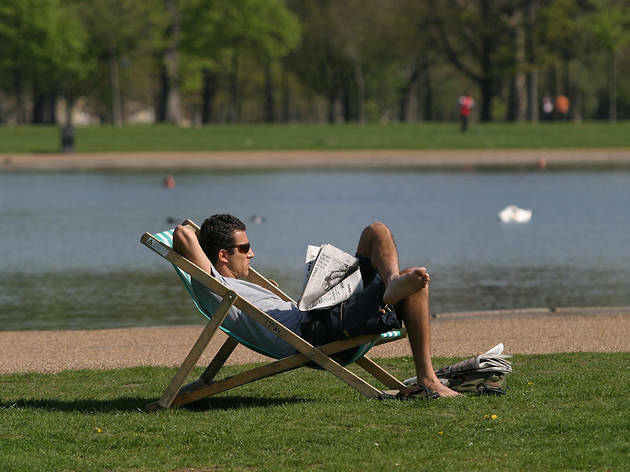 Reading a book beside the Roman-style Queen Victoria memorial fountains in late summer is a joyous experience, as you soak up the sun, peeping your head up every now and then to observe a duck rustle its feathers or wryly smirk as a cigar smoking American struts emphatically up and down the promenade, taking it all in. Statues of interest include one of the man who fixed measles or small pox or... well, definitely one of those vulgar child snatching viruses anyway. And he deserves his place there, standing tall and proud as he surveys some of the most beautiful patches of horticulture London has to offer. Go. Go now. Go for a walk. Look at some squirrels. Sit on a bench. Bask in the glory of well-kept nature. Not right this exact moment, obviously. It's 23:35, on a Tuesday. You'd have to be a nutcase. 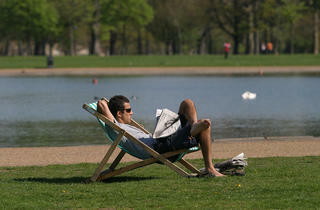 Just look at my picture, and pretend you're basking. It was so peaceful to walk through the garden watching the birds swimming in the lakes and children playing on the greens. 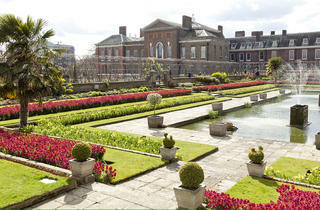 The rose gardens next to the palace is delightful in the summer. 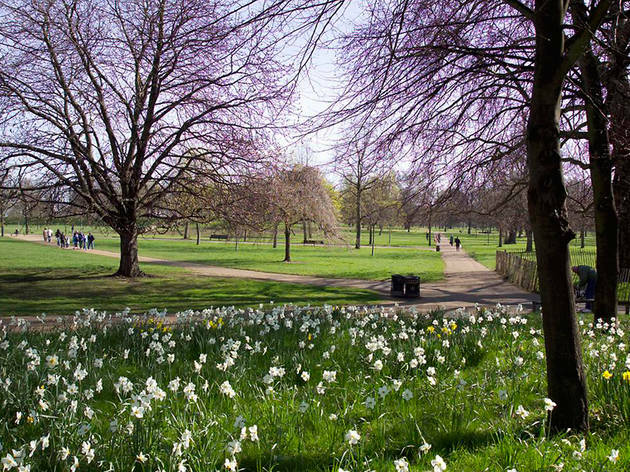 In spring time, enjoy the beautiful daffodils and crocuses on the lawn.